Conservative America’s favorite former president is about to get satirized, and Will Ferrell is playing the main role. Is there no limit to the Liberal-Progressive’s nasty disposition, rhetoric and actions? A comical film about Reagan’s Alzheimer’s --- Really! How about Hollywood producing a really funny film about Joe Kennedy having a frontal lobotomy done on his daughter Rosemarry without bothering to tell his wife about the disastrous operation. What fun! A good time for all! An added touch -- Old Joe making millions on bootlegging. Who to play Old Joe? How about Robert De Niro? A guy we love to hate! Who to play Joe’s wife Rose? How about Rosie O’Donnell? She so loves the Kennedy’s! Who to play poor Rosemarry? How about Tina Fey? 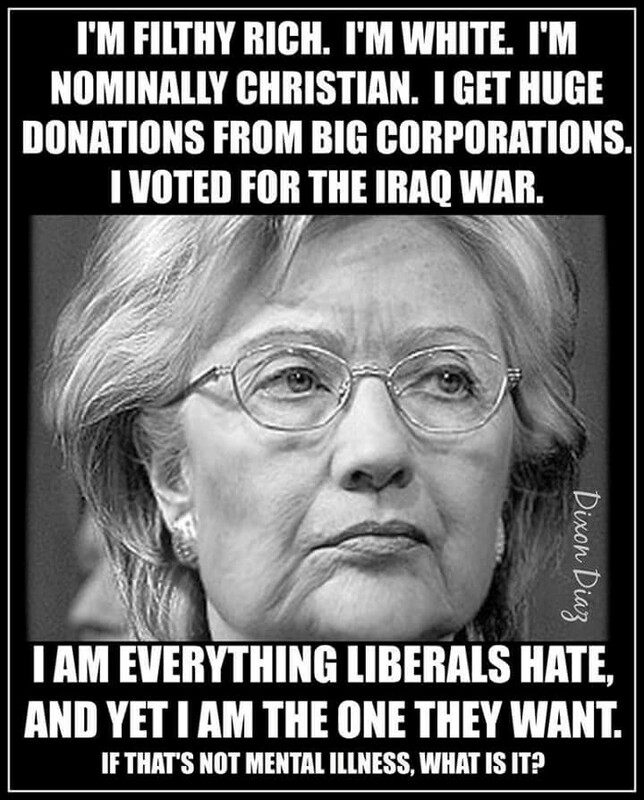 She likes to denigrate folks! Fortunately, there are enough people with reasonable sensitivities and respect for the human condition that the Liberal-Progressive-Hollywood Jerks were shamed to reassess this moronic creation. Will Ferrell has backed away from the starring role – how could he have entertained the idea in the first place? Michael Moore may well take up this mission to the joy of his followers. The movie upset Reagan’s family as well. His daughter Patti Davis expressed her anger to the New York Post’s Page Six. Are not the Progressive-Liberals supposed to be the sensitive ones? The LGBT (lesbian, gay, bisex and transsex) activists and their supporters have been on a roll (rolling over the old square traditional folks)! The Obama team and the ACLU, Liberal Judges, Liberal Politicians and Pravda Media have been very successful mandating open bathrooms, locker-rooms and showers in schools across the country. They are now busy “intersexting” the general public facilities throughout states, schools and communities. Two commercial entities that have joined and are promoting the intersexting movement are Target and PayPal. Since PayPal has limited physical facilities that involve the public, it appears that it’s primarily their own employees that will “benefit” from intersexting their facilities. However, Target is primarily a consumer-shopper entity and therefore the intersexting of their public facilities is of interest to the general public some of whom appear to be objecting. The American Family Association launched a boycott of the nation’s second largest retailer a week ago – over Target’s corporate policy allowing men who identify as women to use the bathrooms and fitting rooms of their choosing. For those who agree with the Target Intersexting Boycott, perhaps it will be more effective to stop by your Target store and go in and tell the manager that you disagree with their policy, then enter and use the bathroom of your other-sexual-identity, and then tell all the others in that restroom about the Boycott. Also, contact anyone you know at the Roanoke Times encouraging them to use their other-sexual-identity bathrooms in their facilities. If you’re visiting the RT, don’t miss the opportunity to use your other-sexual-identity bathroom in the editorial office complex! They will warmly welcome you there! 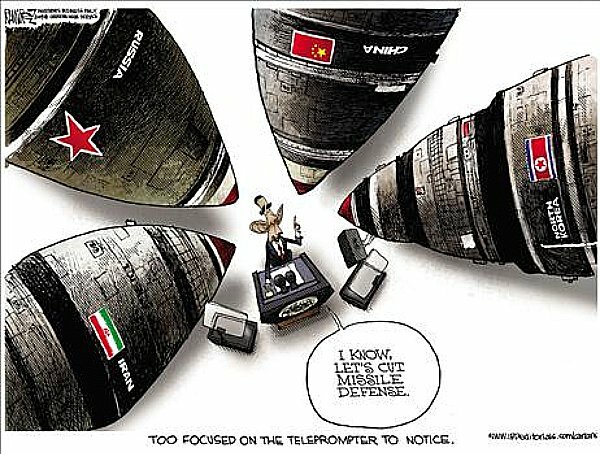 Obama Setting Up Shield To Block N. Korean Missiles – Really? Roanoke Times, 4-27-2016, Pg 6: Obama: US is setting up a shield to block missiles. North Korea has demonstrated that it has nuclear weapons and intercontinental guided missiles. They have fired missiles from land and submarines. Clearly, they have the capability to fire intermediate range missiles from the holds in cargo ships cruising the open oceans. The key to-do component of the N. Korean threat is miniaturizing the warheads so they may be delivered by their guided missiles. A feat well established by numerous other countries. So, Obama, the nemesis and mocker of Reagan’s Star Wars Defense Systems SDI is now going to “try” to defend against N. Korean missiles that can reach Hawaii and California. Too bad Obama “shot-down” the SDI RandD and testing and initial deployment of these systems to protect the American people and our allies. Would be a nice touch to know that they work and can defend against launches onto our people from land, sea and under-sea. The damage and adverse consequences done by Obama and his minions to US interests: militarily, socially, economically and politically will unfold into the future and the American people will pay a heavy price for the Reign of Obama. Obama’s Long Goodbye – Goodbye Already! Tours around Europe, “where his popularity remains high”. Who writes this false tripe? Oh right! – the Pravda Media as an extension of the Obama and DNC media organizations. Obama popular in Europe --- Really? Everywhere Obama went he was rebuffed and rejected. Pg 4: Tens of thousands protest the Obama Trans-Atlantic trade deal agreement in Hanover before the president’s visit where his answer to the massive million-Syrian refugee’s invasion of Europe is to send 250 US troops into Syria. Perhaps Obama’s recent description of EU Allies as “free riders” has affected his high popularity rating. 4-22-2016, Pg 3: Obama fails to garner Gulf support. Obama had sought additional commitment to aid Iraq, but leaders appeared reluctant to invest. It was a "moment of (George.BUSH) success," Obama said. The focus was “we’re leaving behind” and not on securing and guarding the gains and successes we had won with our blood and treasure. 4-29-2016, Pg 1, 3: Obama sends VP Biden to Iraq to emphasize the ISIS threat to Iraq amid political turmoil. Just what the Iraqis need – a military and political lesson from Jester Joe. Another example of two yahoos on another boondoggle wasting taxpayer money, insulting the intelligence of our allies, demonstrating our impotence to our adversaries and generating lots of CO2 into the atmosphere. However, The really bad news is that Obama’s Secretary of State, Hillary, who has been responsible for managing Obama’s so-called “Foreign Policy”, is the presumptive next President! What could possible go wrong with that reality? Roanoke Times, 4-26-2016, Pg 1, 5: Obama sending 250 more troops to Syria is a way to keep “momentum” in the fight against terrorism. 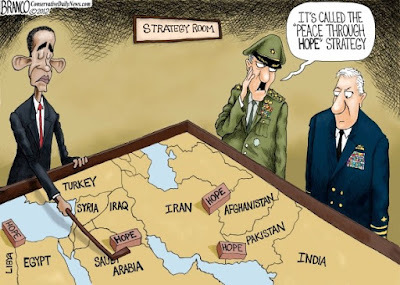 250 Troops to keep the “momentum” in the fight against Isis and depose Assad, the butcher of the Syrian People! That’s one-third of the 700 police officers in Richmond! It’s also equivalent to one (1) infantry company. Taking this pathetic action is one level of delusion. Announcing it as a major accomplishment brings Obama’s delusion to a whole new level. Because of Obama’s “leading from his behind”, Putin, Assad and ISIS are dominating the decimation of Syria that has resulted in overwhelming Europe with the biggest “displaced persons” disaster since WW-2. 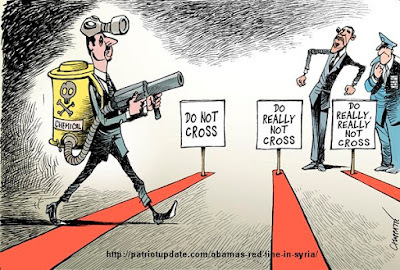 The so-called Obama-friendly "Rebel Forces" have been reduced to a level Obama should rightly call a “JV-Team” and are not a significant factor in countering Assad or ISIS. All this highlights the outcomes from Obama’s Hope and Change. Militants from the Islamic State group seized five villages from Syrian rebels (Obama’s Team) close to the Turkish border Wednesday, further weakening the rebels' foothold in the Aleppo area. 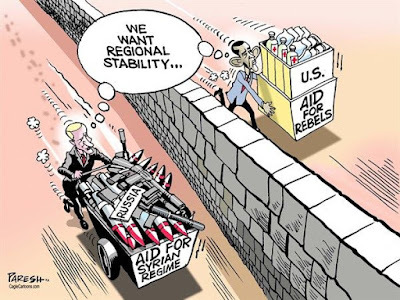 That left the rebels (Obama’s Team) in Aleppo with just one narrow corridor to the outside world, through Idlib province. Those in Azaz are now squeezed between ISIS to the east and the SDF to the west and south, while Turkey tightly restricts the flow of goods and people through the border. Roanoke Times, 4-24-2016, Pg 1, 11. Roanoke’s office seekers said recent civic successes have not been inclusively beneficial. A major article that reveals some of Roanoke’s challenges relative to race concentration by neighborhoods, disparity of incomes and the have’s vs. have-not’s. The national and local economic reality is that small businesses are the generators of most of the job creation and growth. Perhaps the Candidates can invite Obama back to Fire House #1 in downtown Roanoke for another rousing marginalizing and denigrating business owners and Entrepreneurs. 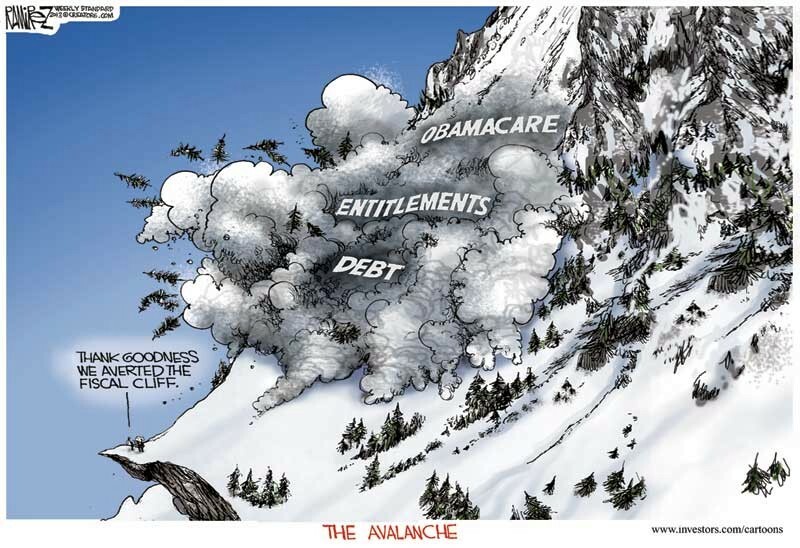 Obama “The Job Killer” has created the most anti-business climate in US history. 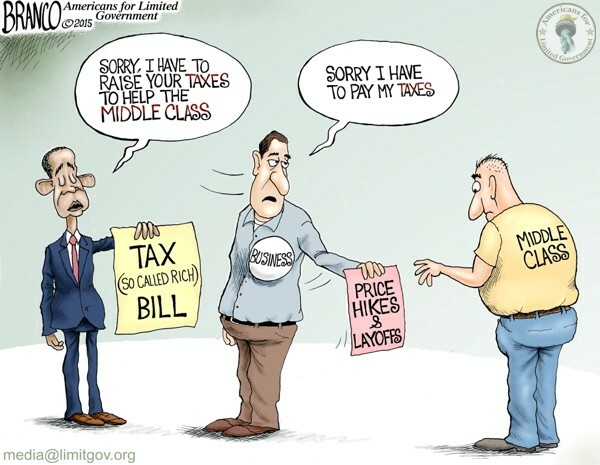 The Obama anti-business initiatives have included over-regulation, over-taxation, ObamaCare, overwhelming debt and a total fixation on the growth and importance of a massive centralized government. The result of Obama’s business policies is that we now have a chronic 63% employment participation with the devastating impacts on American workers and their families. Hopefully, the New and Improved President will establish a team of pro-business and business savvy cabinet members who will help businesses drive a rebirth of the American Free Enterprise Economy that will generate an economic flood-tide that will raise all ships of all colors. 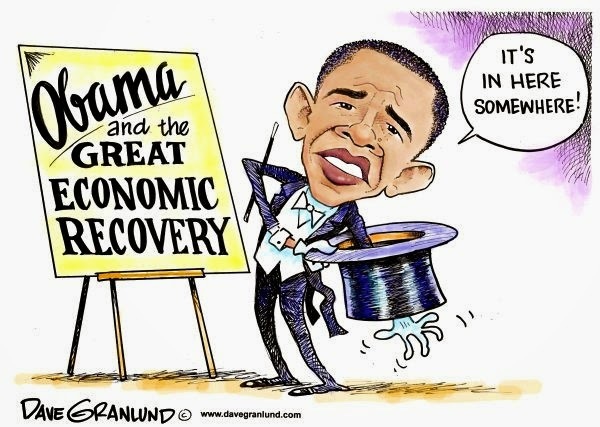 Roanoke Times, 4-29-2016, Pg 8: First Qtr 2016 GDP = 0.5%, marks the weakest performance in two years; after seven years of the reign of Obama! Just in time "felony voting pardons” for Hillary’s election to POTUS! Apparently it’s OK with the Black Lives Matter group to publically state that most of the felons in Virginia are Black. Imagine if a Republican Governor had made that racial declaration. As Governor, McAuliffe should not be following Obama’s race-baiting and racial-divisive rhetoric. Good or Bad: Doesn’t this policy apply to all felons? Was Doug Wilder not the first Black Governor elected in Virginia also the first Black Governor elected in the US in 1990? Was that Racist? Did Virginian’s not vote to elect Obama as President – Twice? Was that Racist? Where are McAuliffe’s facts to support his racist declaration that it’s White Racism that has incarcerated Blacks for felonies for which they have been convicted? How is McAuliffe and the scores of other Democrat elected officials helping the Black community to improve their family units and job opportunities so that their young men do not become felons in the first place? Of course, Virginia already has a process for Governors to restore a felon's civil rights. This is done on a case-by-case basis, and in recent years thousands of offenders – most of them nonviolent – have had their rights restored this way. (4) whether the felon has committed new offenses since his release. Far from determining that the felon has “paid his debt to society,” McAuliffe’s order doesn’t even ensure that the felon has paid his debt to the crime victim. He makes no effort to determine whether Virginia’s most violent and dangerous criminals – many of them repeat offenders – have changed their ways. And in addition to voting, those previously convicted of crimes – including rapists, robbers, and child pornographers – will be eligible to sit on juries hearing similar cases. In addition, because it is blanket restoration the executive order is subject to constitutional challenge. Legal teams for Governor Kaine and Governor McDonnell looked at such an order and concluded that under the Virginia Constitution, any restoration had to be done on a case-by-case basis. Governor Kaine’s lawyer himself stated that a blanket restoration “would be a rewrite of the law rather than a contemplated use of the executive clemency powers. And, the notion that the Constitution of the Commonwealth could be rewritten via executive order is troubling.” You can read the legal opinions here and here. Given these consistent legal opinions, we are already reviewing legal options to get the order before a court for a ruling on its constitutionality. In the meantime, please e-mail the Governor. Tell him that you don’t think violent felons should serve on criminal juries. Tell him to follow the Constitution. Earth Day 2016 was opening day at the UN International Global Warming Welfare Office. The NYC location was appropriate being the biggest welfare epicenter in the US and perhaps the world. There’s nothing quite so soul-healing as watching Obama, Kerry and Gore give hundreds of Billions of American TaxPayer Reparation Money to others for a discredited AGW-hypothesis being used to further accelerate the International redistribution of wealth and assets. Kerry’s announcement of $100 billion a year in climate aid by 2020; it promises to begin increasing such “aid” in 2025, though by an unspecified amount. This “aid” to developing countries to help them cope with sea level rise, worsening droughts, and other climate impacts that can no longer be avoided? It’s a good thing that this agreement wasn’t implemented in 1600 during the Little Ice Age! Stopping the Natural Global Warming that ended The Little Ice Age circa 1750, and that continues today, would have resulted in the continuation of massive adverse cold temperatures throughout the Northern Hemisphere and a very hostile global environment for all forms of life. What would we have done to stop the Natural Global Warming in 1600? What indeed? Perhaps The Burning of three witches in Baden, Switzerland (1585) was a feeble attempt. However, the rising sea levels would still be occurring because even the Little Ice Age was much warmer than the last massive Glacial Period. 16,000 years ago the oceans were 400 feet lower than today and the NC Outer Banks were 50 miles out at the Continental Shelf, talk about your oceans rising and adverse impacts to ocean-front properties! It would be heartwarming to watch Kerry and Gore glibly giving away Billions of American taxpayers money to “others” as reparations for our fossil fuel sins, except for the fact that there is no scientific proof that burning fossil fuels is or has or will cause significant global warming. Bill Clinton signed the last so called Global Warming Kyoto Treaty. The US Senate rejected the Treaty by 99 to 0. Obama says he will simply use his pen and cell-phone this time. No need to bother this Senate over trivial things like the Constitutional requirement for Senate approval of Treaties. Solar energy company SunEdison Inc filed for creditor protection on Thursday, making it one of the largest bankruptcies by asset value involving a non-financial company in a decade. The exaggerated expectations for solar energy combined with the dubious hypothesis that fossil fuels are causing catastrophic climate change need to be balanced with the facts that the solar energy industry is highly dependent on both government subsidies and the current energy infrastructure systems for backup for “cloudy days” and every night. 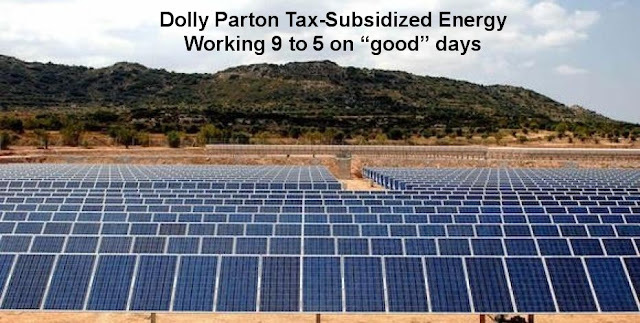 Those areas where there is optimum sunshine near population centers are the best solar application such as places like Arizona, New Mexico, Southern Cal., however, much of the US does not meet these parameters, and the cost-benefit does not favor solar. Richard Lindzen, an MIT atmospheric physicist and one of the world's leading climatologists, summarizes the science behind climate change. Palestinian leaders have offered up an unlikely candidate for the Nobel Peace Prize: A man serving five life sentences for murder. Marwan Barghouti, who founded al-Aqsa Martyrs' Brigades and is called “the Palestinian Mandela,” was convicted in 2004 of five counts of murder – including a 2002 attack at a Tel Aviv seafood market in which three civilians were killed. While in prison, he has toyed with running for president and polls suggest he would win if it were up to the voters. Biden’s attack against Netanyahu within hours after yet another Radical Muslim Terrorist attack upon the Israeli people is disgusting. The leaders and members of Hamas, Hezbollah and Iran are dedicated to the destruction of the state and people of Israel and have and are doing everything they can to make that happen. Israel and it’s people have a right to exist and live in harmony with their neighbors. that the Palestinian Leadership has already rejected. After seven years of Obama, is there anyplace in the world that is better off now than before Obama, and do we now have better relations with any other country in the world than before Obama? Clearly NOT! 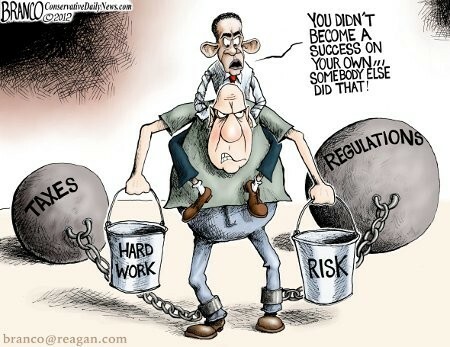 All this the result of Obama’s version of Hope and Change! Obama: The Self-declared Jew – Really? Roanoke Times, 4-20-2016, Pg 6: Deschutes (beer) deal could lead some city residents to sell their homes; agreement “requires” Roanoke to make efforts to buy nearby properties. Economic Development and Job Creation is vitally important to Southern Virginia and the Roanoke Area. Deschutes Beer will bring jobs and economic stimulation to the area. It’s not clear at this time which local homeowners and businesses will be “asked” to sell and move. Hopefully this will be done without eminent domain processes. Perhaps the Governor and Mayor could have constrained their enthusiasm to clinch the deal with “a beer” until after the media left. 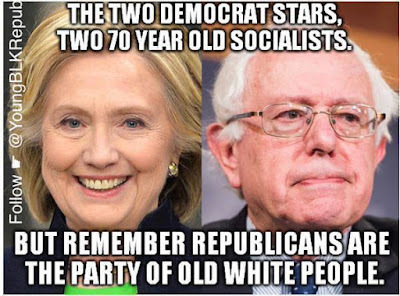 They certainly didn’t set a good example for all the young people watching the local TV news! Roanoke Times, 4-17-2016, Pg Va 1, 8: Ex-fire EMS director’s fraud case widens; County officials now say director faces charges in Oregon. “It’s not like applying for a top-secret defense dept. position where you have an army of investigators to do background investigations. Local governments … just don’t have the resources”. Another example of the adverse outcomes from the new Obama-McAuliffe elimination and removal of the criminal history section from employment applications. Just more Obama Hope and Change. Given the Obama-McAuliffe aversion to criminal records, used for employment decisions, should we now expect that police and airport TSA employees and EMS employees are all exempt from scrutiny? Based on the Obama-McAuliffe logic that past discretions are to be “invisible history”, then why is the government requiring background criminal checks for gun permits? 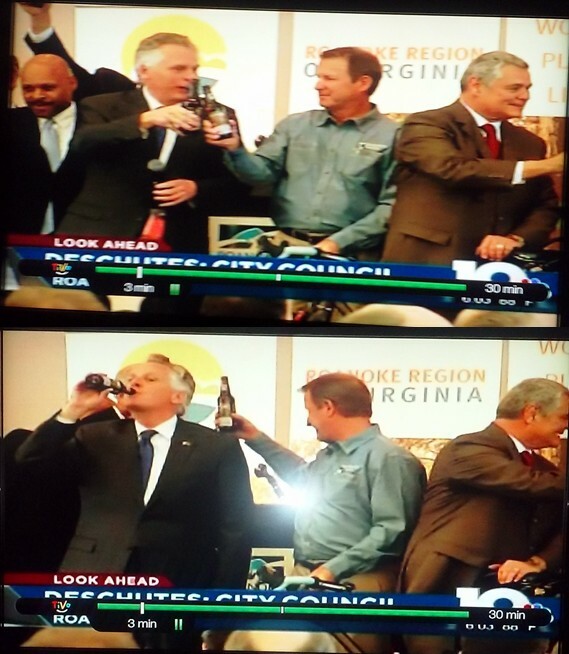 Perhaps McAuliffe is worried about his future employment status and may want to keep his background record “invisible”. Bernie Sanders has spent the past six months campaigning for President as Karl Marx’s surrogate. His entire campaign rants are focused on the premise that the “rich” don’t pay their fair share of taxes. Turns out he’s "the rich" and yes, he doesn’t pay his fair share of taxes! The Washington Post produced one of the best examples of Pravda Press coverage in their distortion of Bernie Sanders income and taxes paid. Sanders and wife report $200,000 in income and paid 19.6% taxes. Sanders reported receiving $156,441 from his Senate job, after contributions to a savings plan and health insurance (that’s income: how much was that?). The couple reported receiving another $46,213 in Social Security benefits, of which $39,281 was taxable. Sanders also reported income of $4,982 from the pension he receives having been mayor of Burlington, Vt., in the 1980s. And his wife had another $4,900 in compensation for sitting on a commission devoted to the management of low-level radioactive waste disposal. That’s rather important because it places Bernie in the top 2% of US family income! Pretty good for a Socialist ranting about those “rich” people. The Washington Post continued their Pravda Media coverage with the following review of Bernie’s taxes. 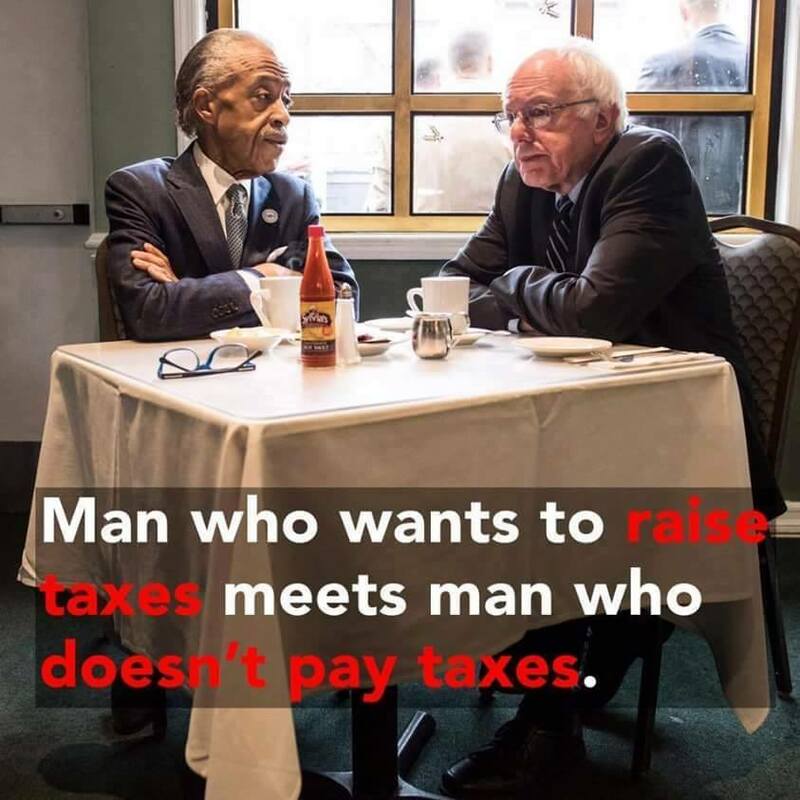 According to his tax forms, Sanders and his wife paid $27,653 in federal income tax and another $7,903 in Vermont income tax last year. The couple paid an effective tax rate of 19.6 percent on their federal taxable income of $140,994. NO! That’s NOT It! Bernie is ranting about the Federal Tax Code and FIT and nary a word or inference to any State taxes some of which do not have any income taxes. Therefore he paid a measly 13% in Federal Income Taxes FIT! 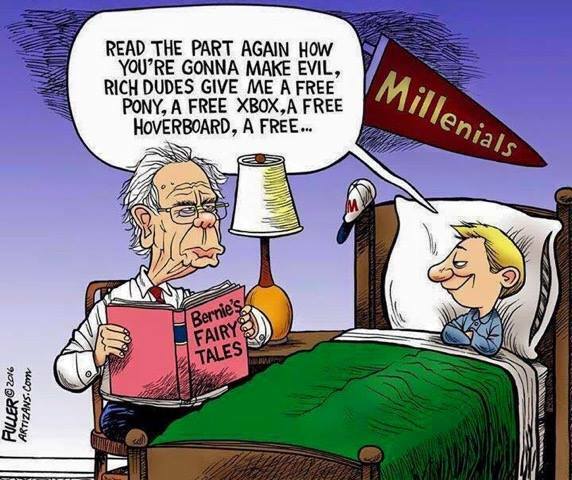 Clearly Bernie is a top 2% who isn’t paying his fair share of Taxes! 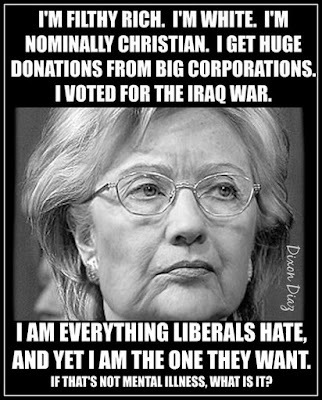 Talk about a Leftwing Hypocrite! Karl Marx would be so disappointed in his protégé!